Each earring is about 1.25" long and comes on surgical steel "fish hook" ear wires. They are set with 3.5mm "ruby" swarovski crystal. 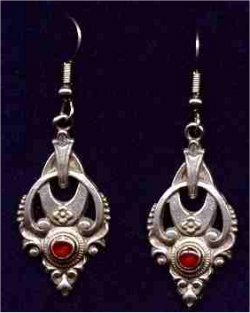 The earrings are cast in lead free pewter.